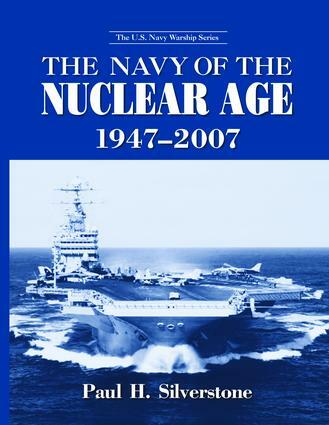 The Navy of the Nuclear Age, 1947-2007, the fifth volume in the monumental U.S. Navy Warship series, presents an all-inclusive compendium of the ships that served in the U.S. Navy from the Cold War up through the present day. Featuring radical new developments in warships such as nuclear-powered submarines and carriers equipped with ballistic missiles, the post-World War II period was one of unprecedented technological growth for the U.S. Navy. The Navy of the Nuclear Age contains specifications and illustrations for all the ships and submarines that have helped the U.S. to achieve its present-day status as the country with the world’s largest and most powerful navy.